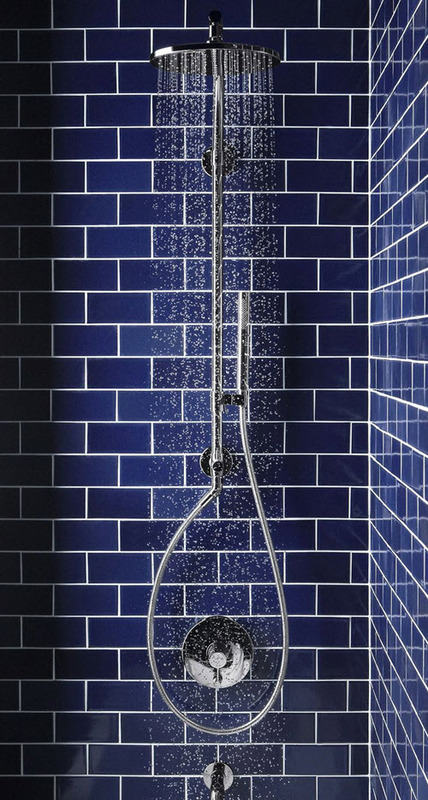 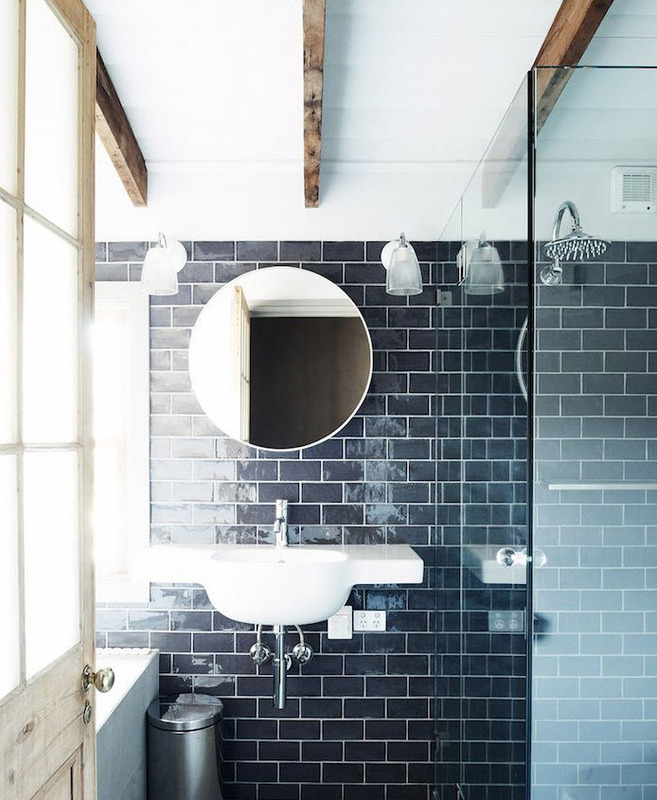 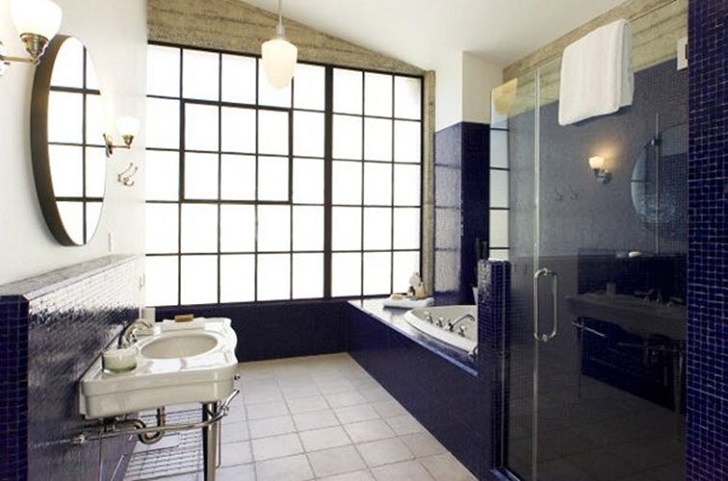 Dark blue is the color that doesn’t fit in every bathroom so you need to carefully consider a couple of things before implementing it. 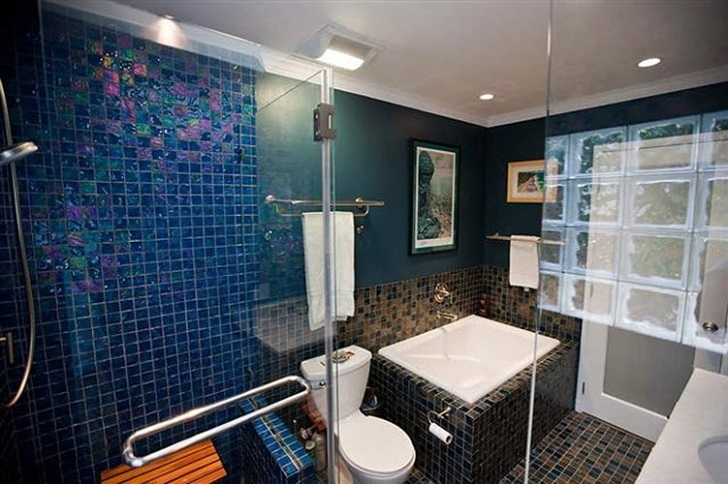 First of all, you need to remember that all dark colors make any room visually smaller. 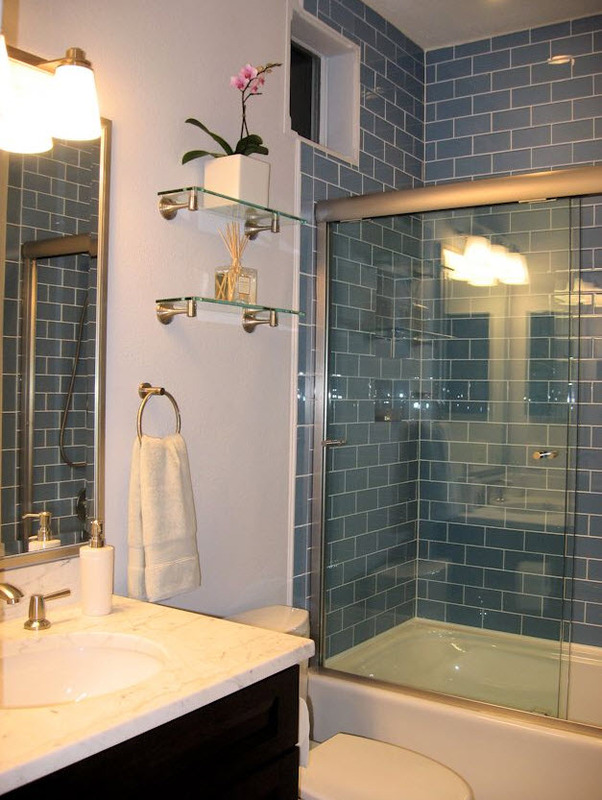 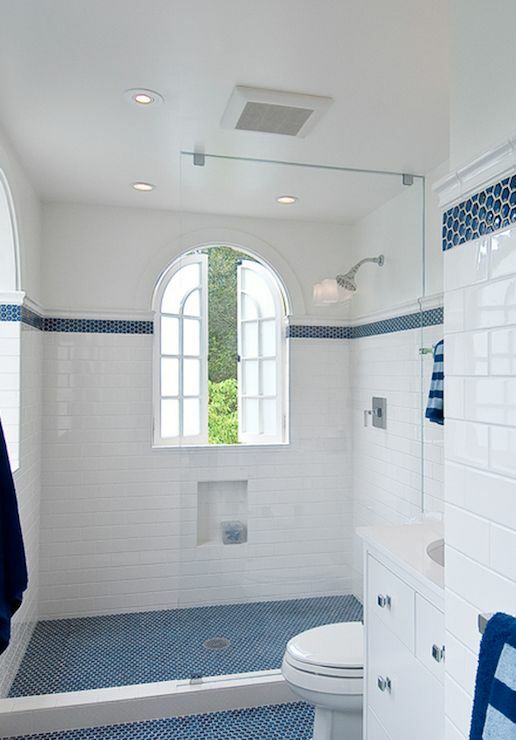 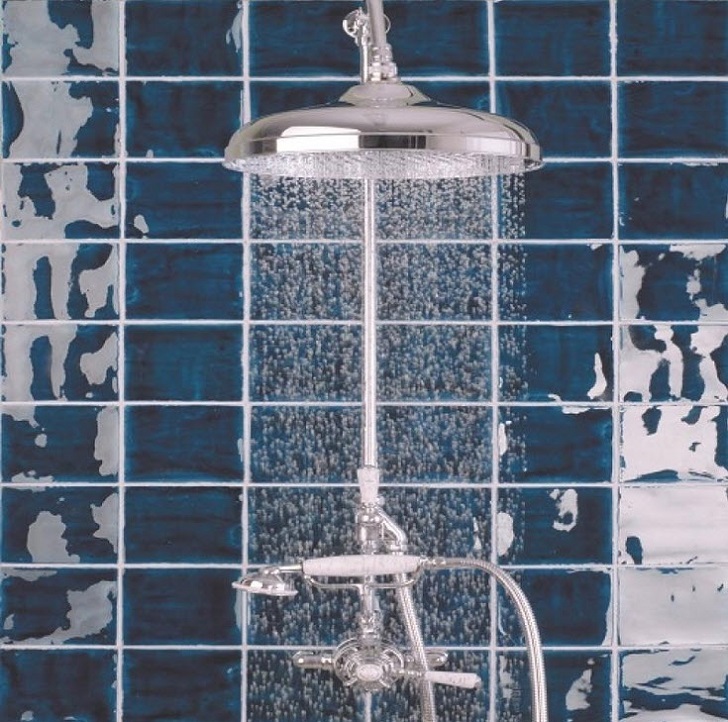 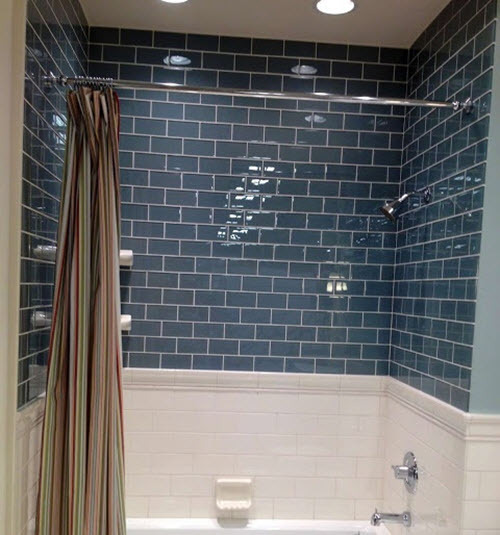 So if you have a tiny bathroom it’s better to think about some other – lighter – color or to use dark blue only on one wall or just in the shower area. 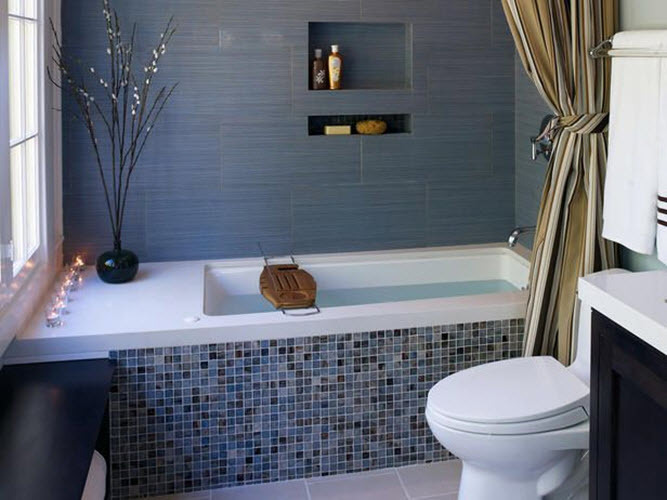 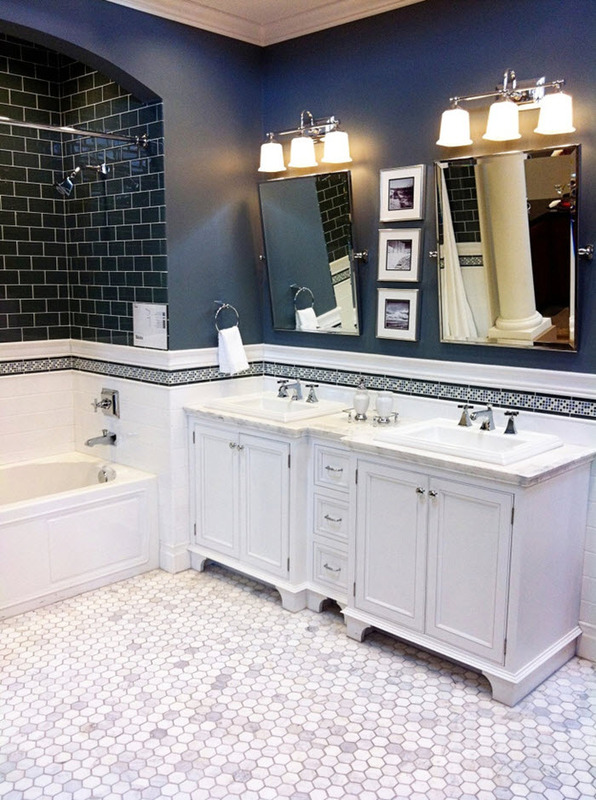 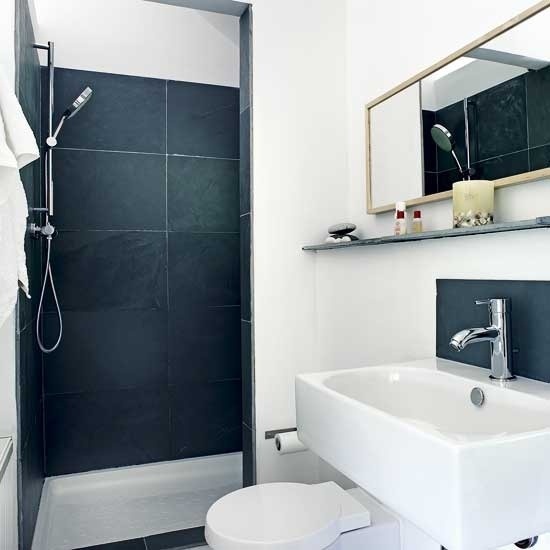 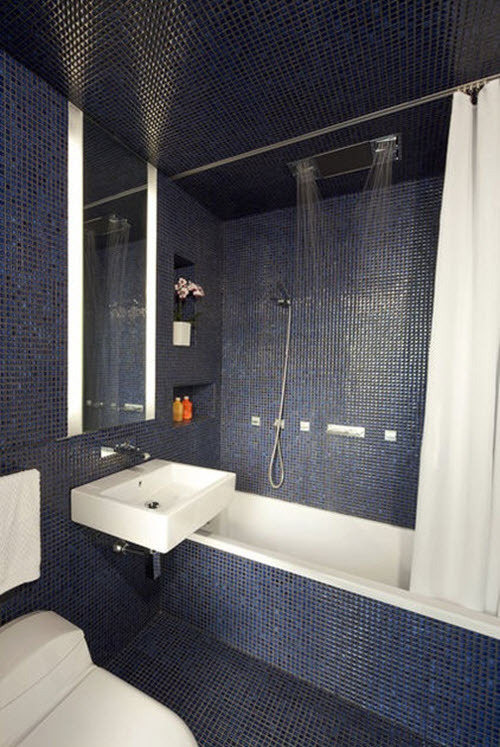 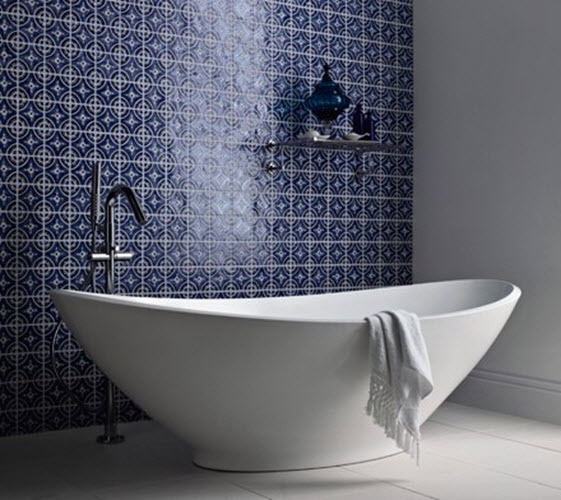 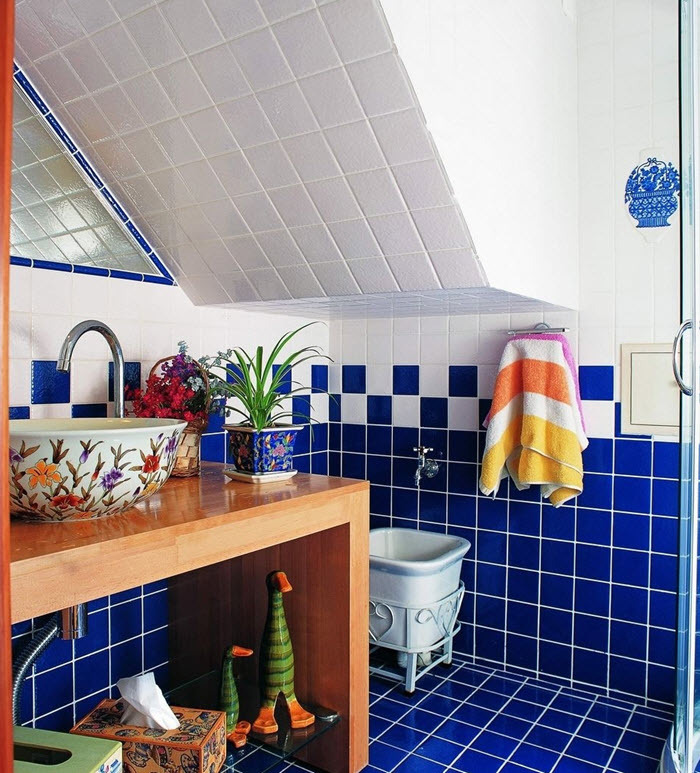 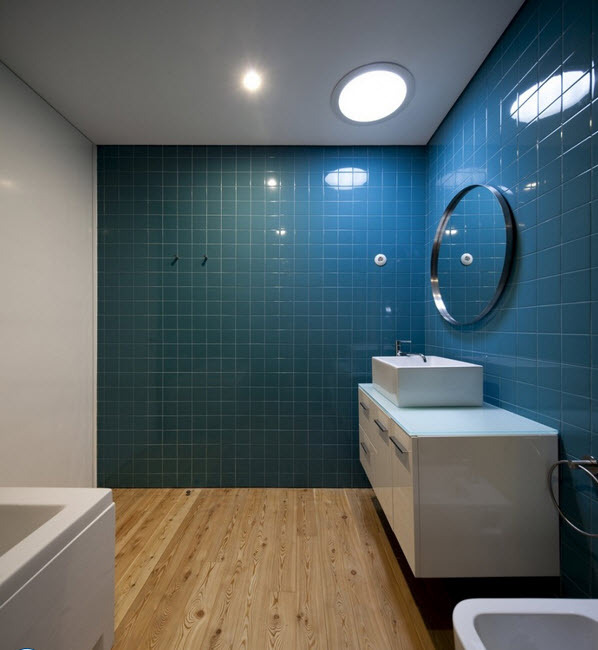 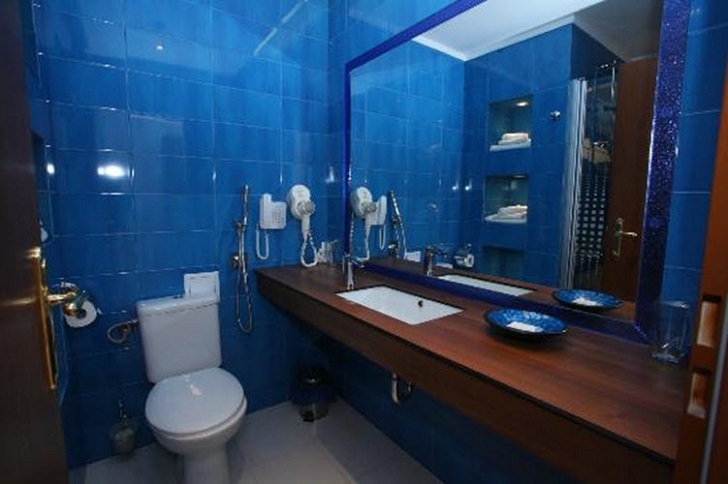 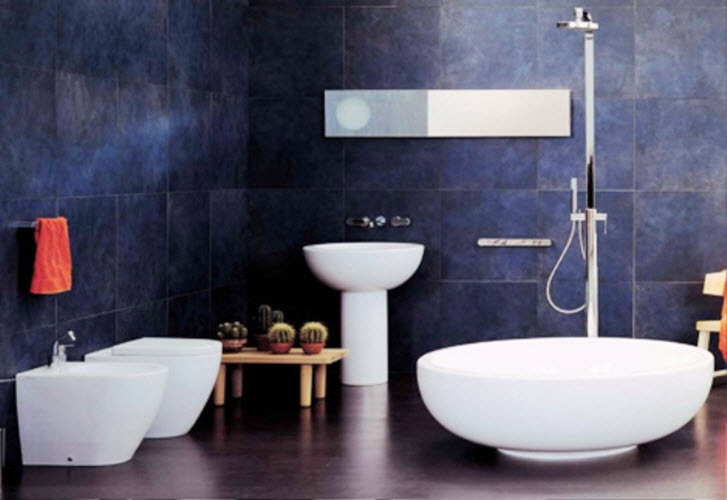 It’s better to avoid dark blue on the floor as it also can make bathroom look smaller. 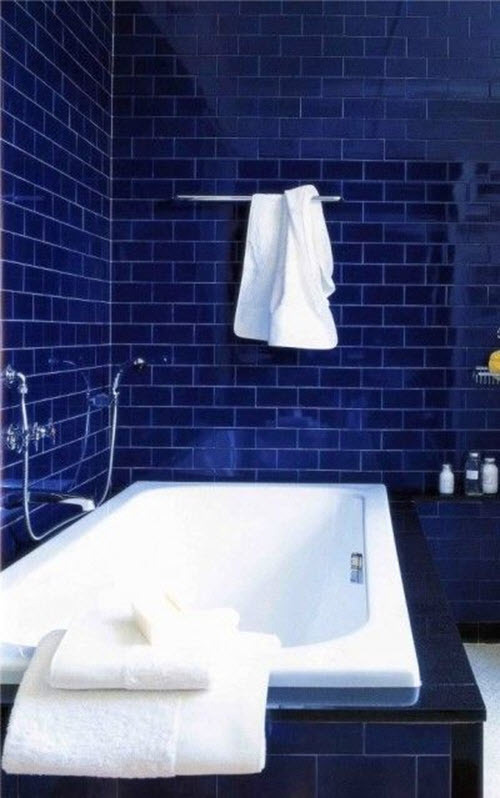 One of the best approaches to using dark blue color in the bathroom is using it only on one wall while all the rest are left white. 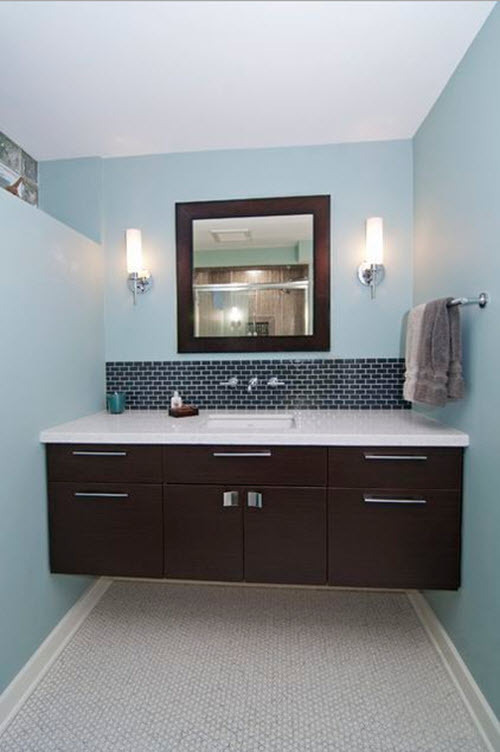 It will add a splash of color to your bathroom and will not make it visually smaller at the same time. 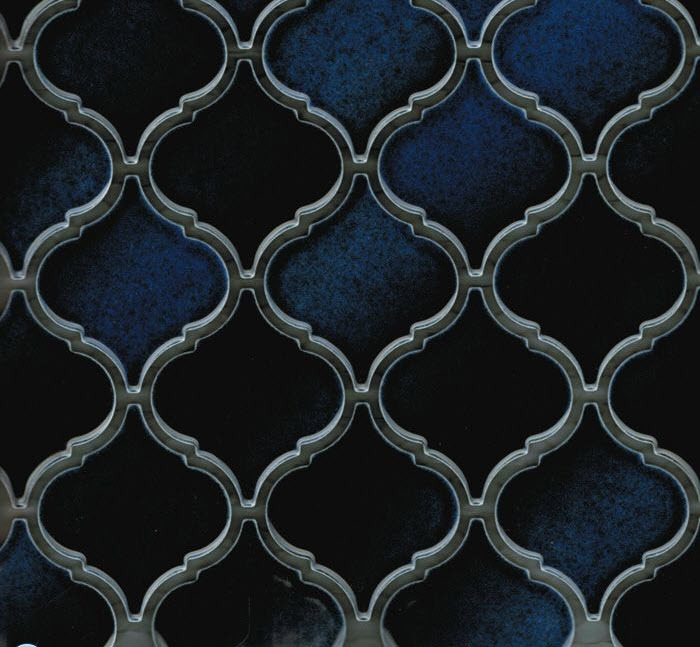 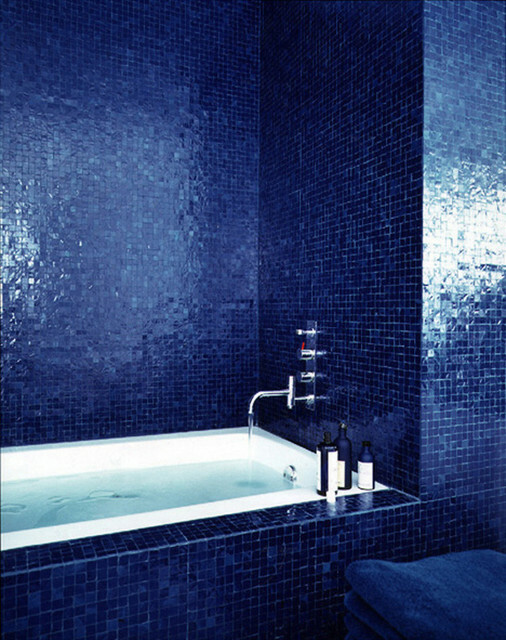 Dark blue can be beautifully combined with many other colors and shades of not only blue palette but of others as well. 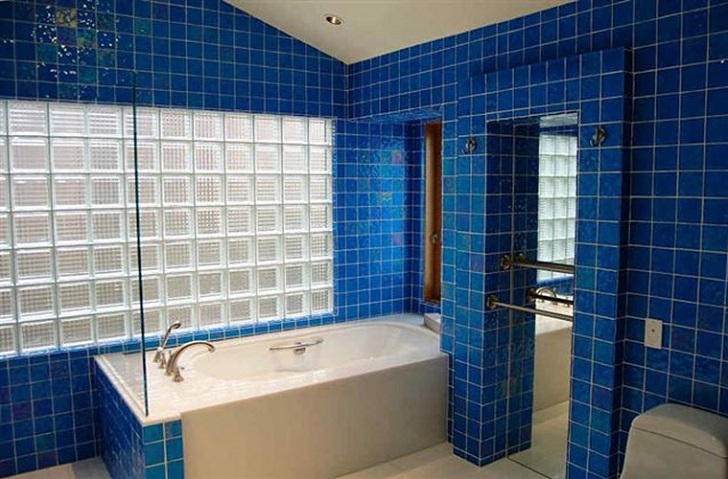 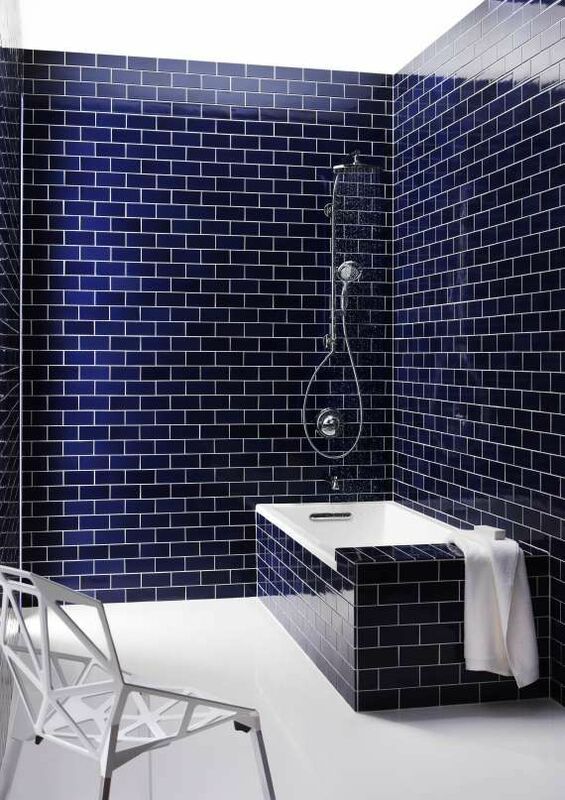 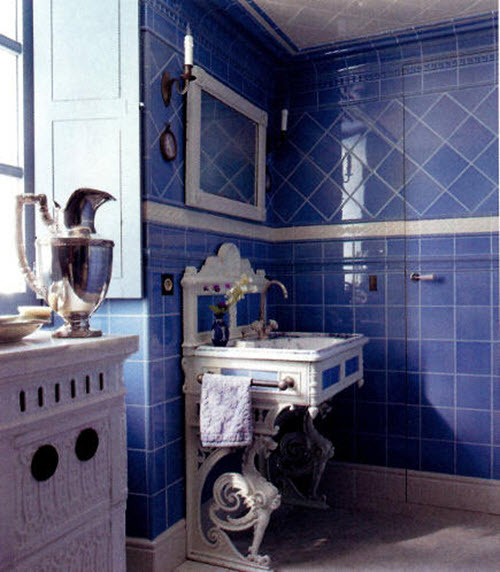 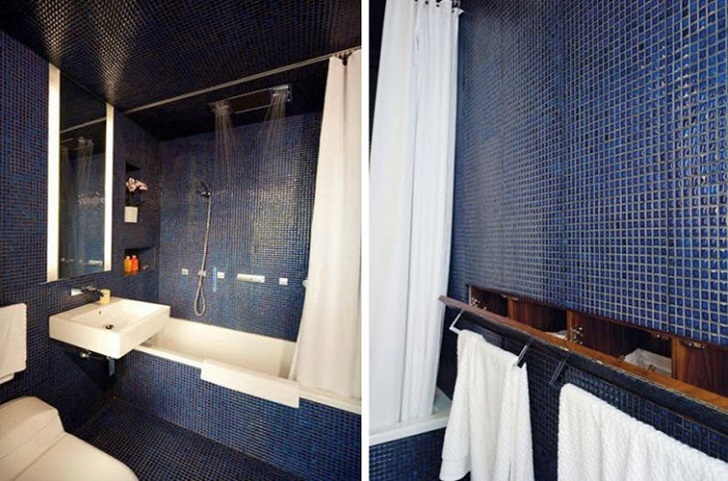 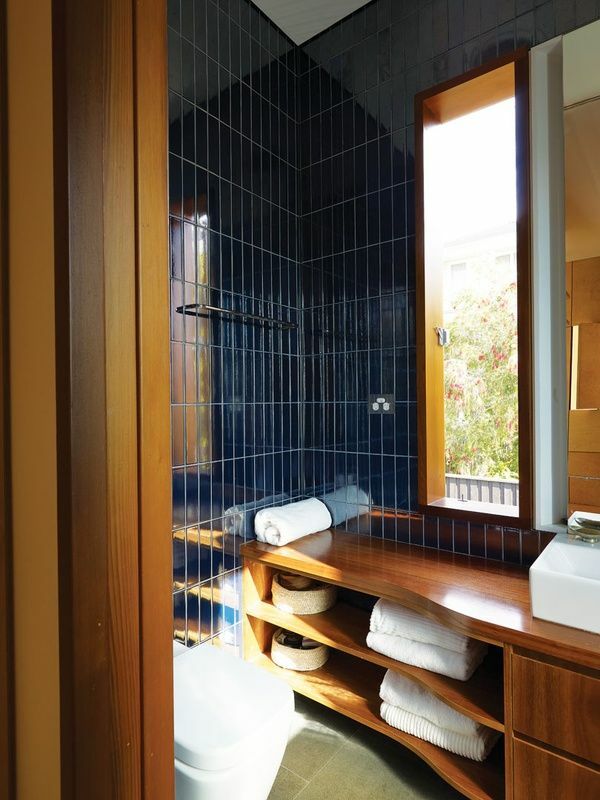 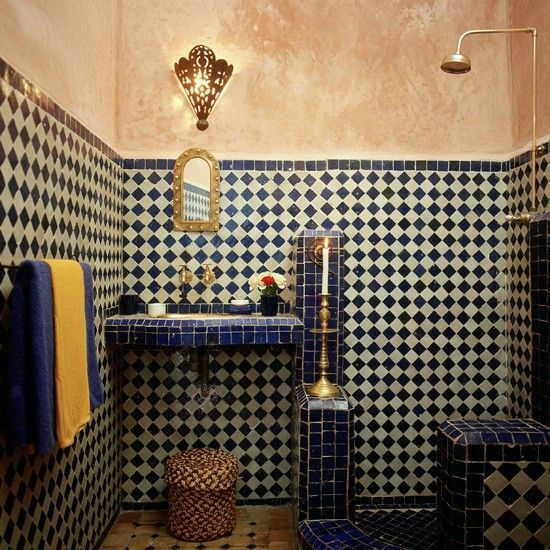 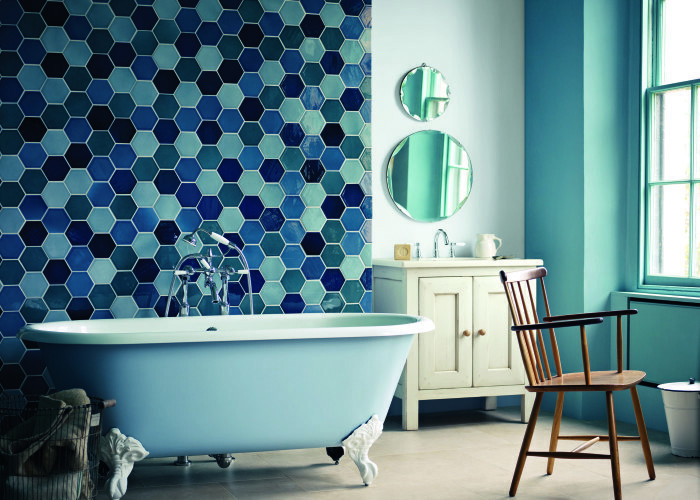 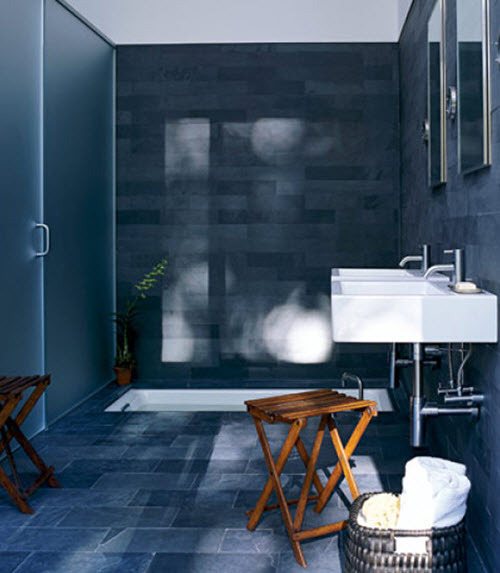 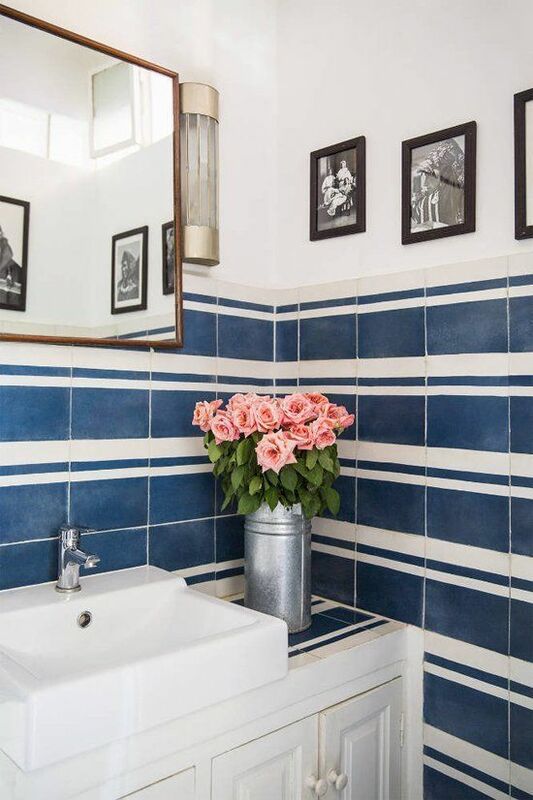 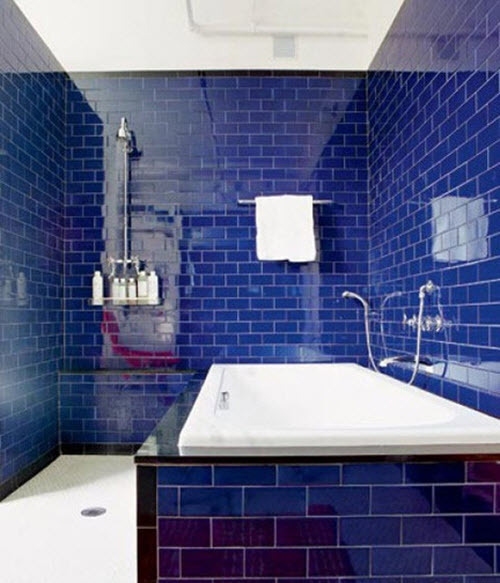 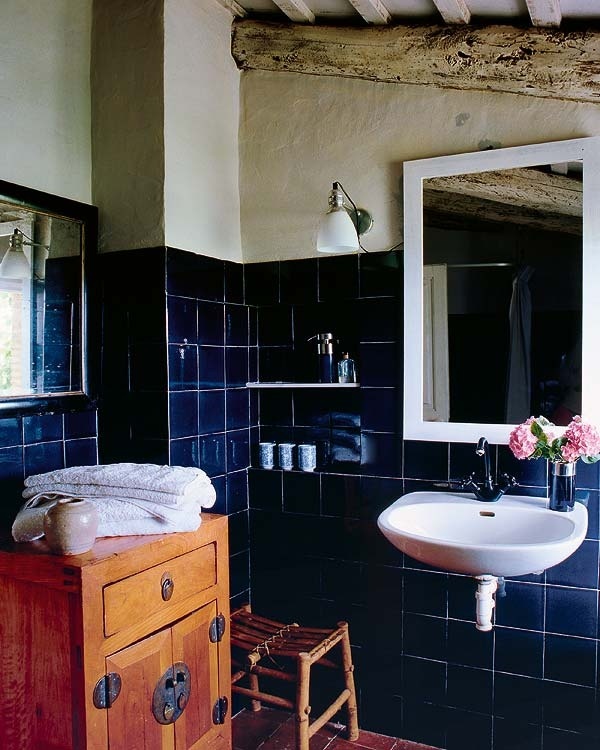 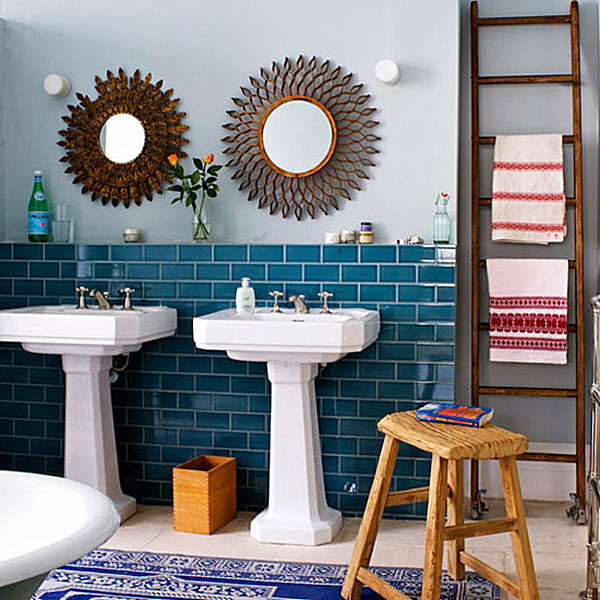 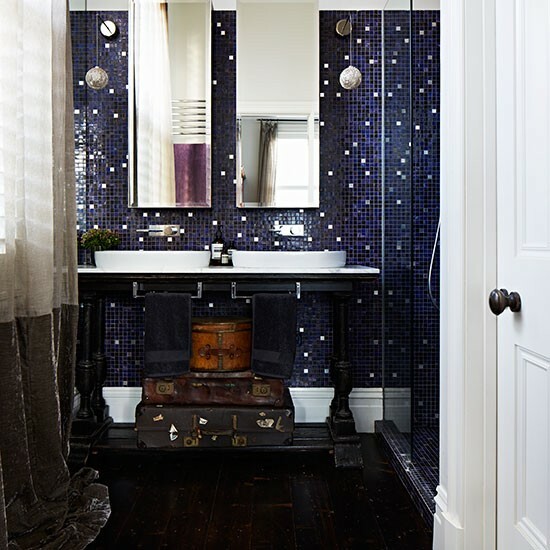 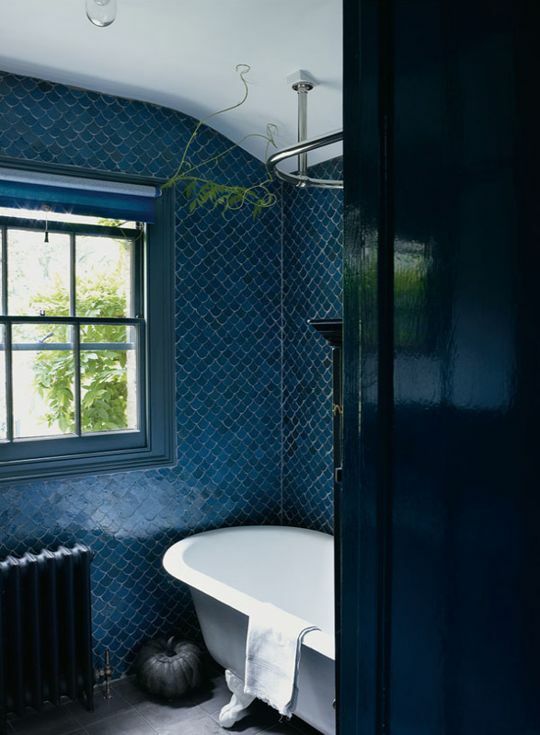 So, pick up the right shade of dark blue for the walls of your bathroom and start creating and experimenting. 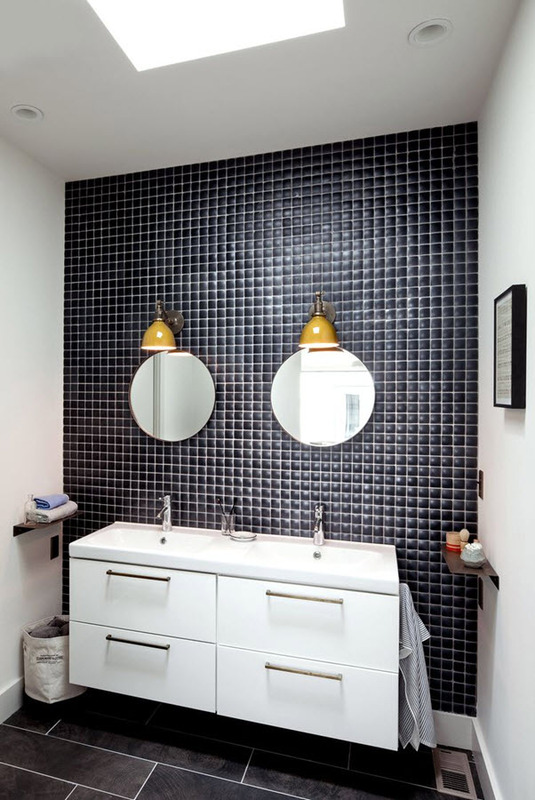 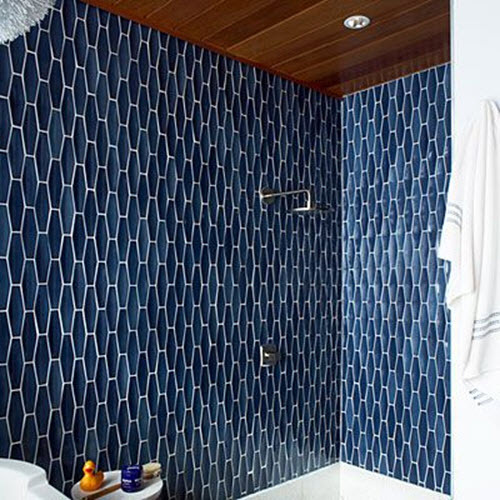 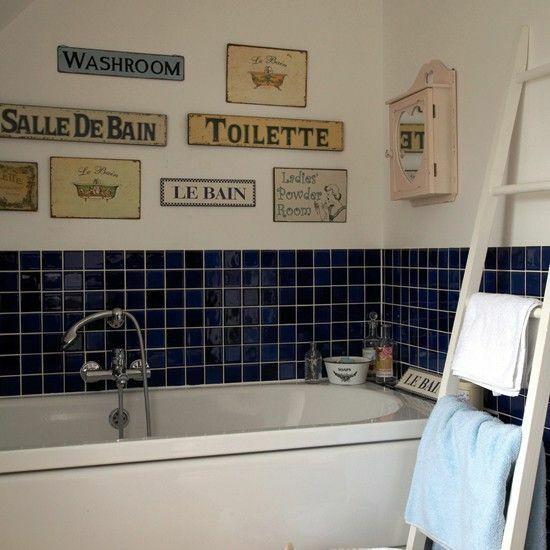 To get you started, we prepared some cute photo ideas of dark blue bathroom wall tiles for you to consider, amaze and put in your arsenal.